We loved Domhnall Gleeson as Bill Weasley in Harry Potter and the Deathly Hallows: Parts 1 and 2, and in the relatively short span of time since those films brought one of the greatest franchises in recent memory to a close, Gleeson seems to have endeared himself to global audiences and to the broader film industry as well, starring in both the critically acclaimed and box office winners over the last few years. In celebration of the Dublin native’s birthday, we thought it only fitting to review his successes and treat them as the clear markers they are, stepping stones on the path to a very bright future! Most notable for Potter fans is Gleeson’s perfect casting as the eldest Weasley son, who was an incredibly-gifted wizard and Hogwarts Head Boy, as well as an adventurous curse-breaker in Egypt with Gringotts. Gleeson struck the balance of qualities well, coming off as affable and confident while masking an edginess beneath, which immediately attracted Beauxbatons student Fleur Delacour and served him well in his various tasks for both the Ministry and the Order of the Phoenix. 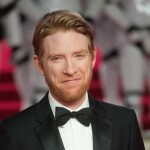 After Deathly Hallows Part 2, Gleeson appeared in Shadow Dancer, Dredd, stood out in the period classic Anna Karenina, stole the screen in the dramatic comedy About Time with Rachel McAdams, and then found his footing as Phil in the WWII epic retelling of Olympian Louis Zamporini’s military service and Pacific capture in Unbroken, as Caleb in Ex-Machina with Alicia Vikander and as Irishman Jim Farrell in the adaption of Colm Toibin’s Brooklyn. Gleeson achieved all this by 2015–but his breakout role was still ahead. Later that year he was cast as General Hux in the highly-anticipated Star Wars: The Force Awakens, the first film in the final trilogy concluding George Lucas’ story of the Skywalkers and a “galaxy far, far away.” He was cold and menacing and everything a fan could hope for in a follower of the Dark Side and leader of the First Order. His villainy was overshadowed only by Snoake’s protégé Kylo Ren. In the same year, he also starred in Alejandro Inarritu’s Oscar-winning The Revenant alongside Tom Hardy and Leonardo DiCaprio, and by that time, he was a force to be reckoned with (no pun intended). 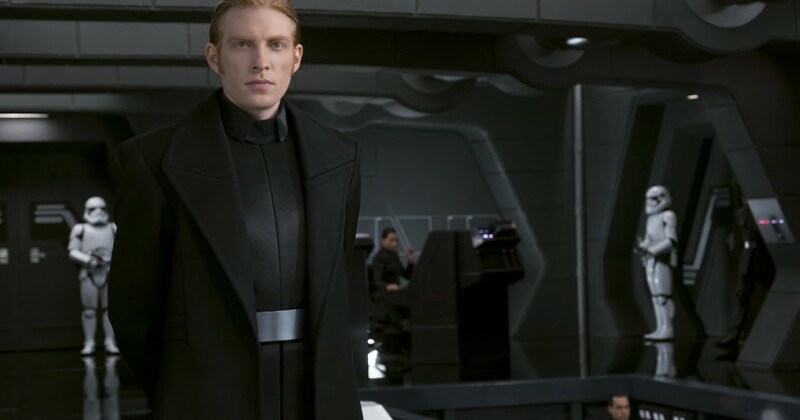 Gleeson then transitioned from troubled-but-devoted family man back to the scene of galactic tyranny and rebellion, which saw him reprise the part of General Hux in Star Wars: The Last Jedi. He carried that momentum into the current year and, in the last few months, starred in A Futile and Stupid Gesture and the family-friendly hit Peter Rabbit. 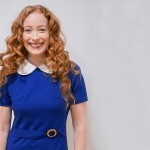 In A Futile and Stupid Gesture, Gleeson was barely recognizable as Henry Beard, exchanging his trademark ginger hair for wavy shoulder-length locks of dark brown. 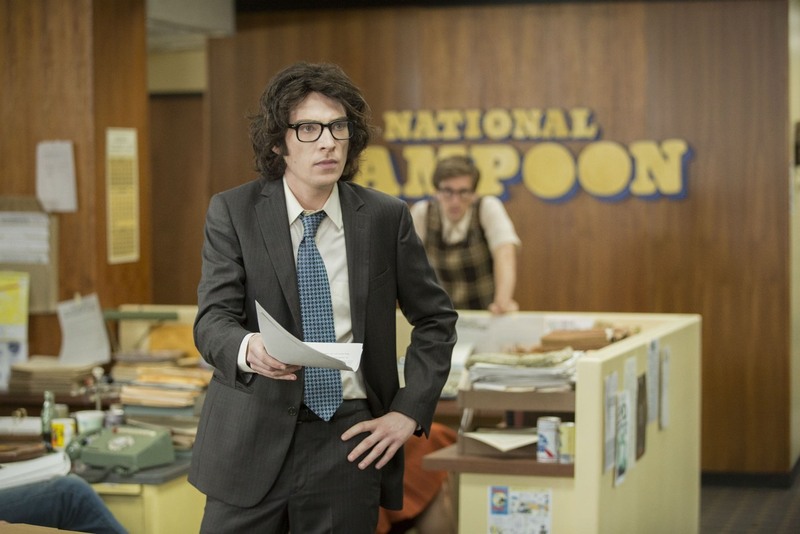 That and the clothing pulled him into an entirely different era, like a time-traveling Portkey, removing him to the ’70s and ’80s of National Lampoon’s early days and the formation of its media empire. 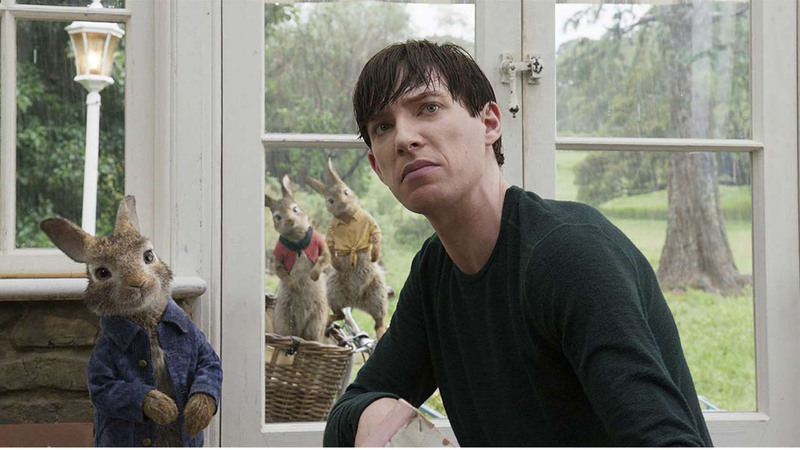 He followed the comedic biopic with the family adventure Peter Rabbit, the feature adaptation of Beatrix Potter’s classic children’s tales, which mixed live action with animation. According to Variety, the film, which opened in February, has already grossed $325 million worldwide and a sequel is in the works for 2020. Amazingly, it has become Sony’s biggest non-Bond–James Bond–film in the UK, explaining why they have been quick to settle details on a follow-up! 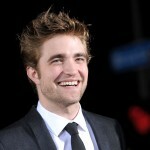 Gleeson would return as Thomas McGregor alongside costar Rose Byrne (Bea). Director Will Gluck would return as well. 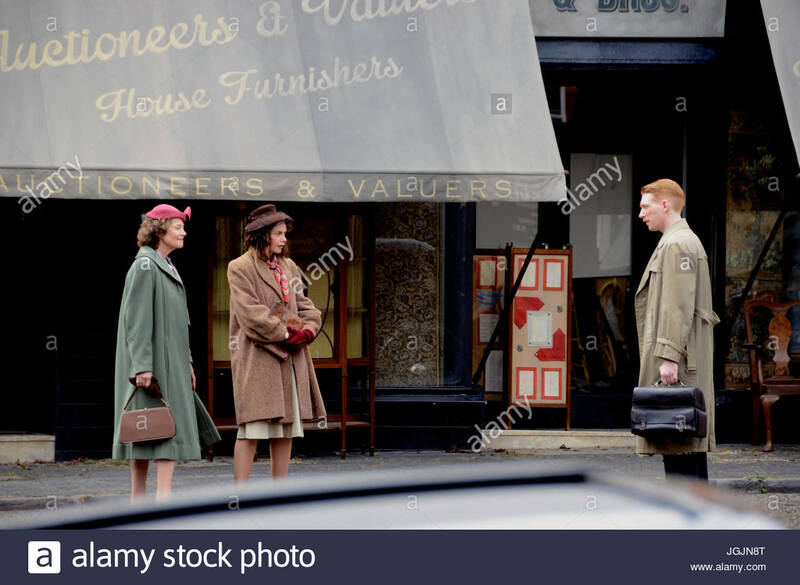 Gleeson takes the lead role as Faraday, while the Ayres family is portrayed by Ruth Wilson, Will Poulter and Charlotte Rampling. Lenny Abrahamson, who won critical acclaim and an Oscar nomination for Room, directs. Last on the slate is The Kitchen, which is still in pre-production. Imdb.com indicates Gleeson will play Gabriel O’Malley in the crime drama about “the wives of New York gangsters in Hell’s Kitchen in the 1970s continue to operate their husbands’ rackets after they’re locked up in prison.” It is scheduled to premiere in U.S. theaters Sept. 20, 2019.